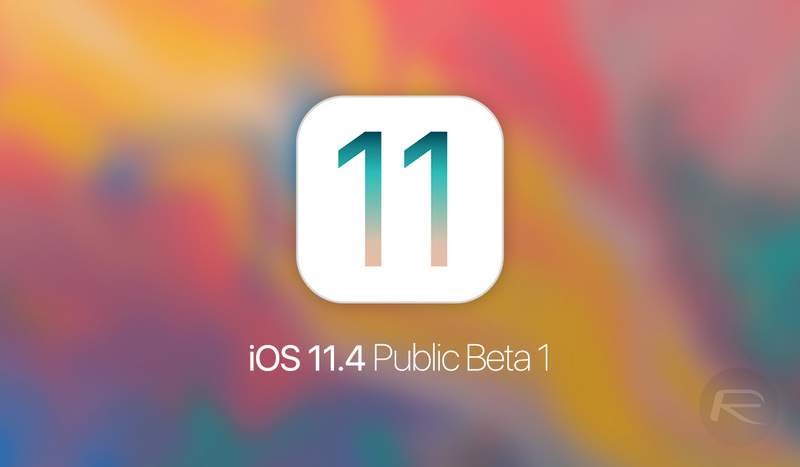 Following on from its release to developers yesterday, Apple has now also seeded iOS 11.4 beta 1 to those who are part of the public beta program. This release has often come days after the developer release, although the two different beta programs have today both seen significant releases almost simultaneously. As we told you earlier today, the release notes for this initial beta version of iOS 11.4 do not really outline what has changed in this version, but rather provide a laundry list of potential issues that users may run into. However, we do know that AirPlay 2 is included in this update for those who have multiple HomePods and want to be able to listen to them as a stereo pair. However, this will only be available once iOS 11.4 has been installed on those HomePods as well, so that’s something worth keeping in mind if you’ve been waiting to make the most of your two Siri-capable speakers. Additional changes, improvements and new features will come to light in the coming hours and days as people get to grips with what this new iOS 11.4 beta 1 release brings to the table. We’ll let you know if anything important catches our eye. Anyone who is part of the public iOS beta can get their hands on a configuration profile via the beta.apple.com website right now. Once installed onto the device that you will be sacrificing in the name of beta progress, the profile will enable that device to download future beta releases over-the-air. This update method works just as any other iOS update would, making the beta process much more user friendly than the old days of having to download IPSW files and manually updating via iTunes – you do remember iTunes, don’t you? Update x1: tvOS 11.4 public beta 1 is also available to download for registered members of Apple Beta Software Program.